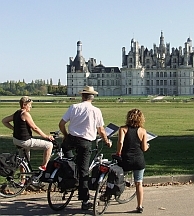 Cycle Breaks offer Cycling Tours of Europe including France, Spain and Mallorca, Italy, Austria, Germany, Holland and Belgium – choose from European destinations which are truly scenic cycling sensations. Be prepared for castles, vineyards, lakes and mountains; cities and ancient sites; gorges and gloriously wide meanders; quiet canals and lazy lagoons. Discover cosmopolitan Lake Constance and dip into Switzerland or go for a meander with the Danube to delve into Slovenia and Hungary. 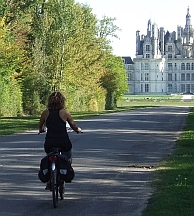 Our self-guided European bike holidays and cycling short breaks in Europe feature linear and circular routes and include hotel to hotel and single centre cycling tours, plus bike and boat holidays in selected destinations. Take just a little time out on two wheels to discover some of the finest jewels in the Algarve’s coastal crown. Right on the Rio Formosa natural park with its lagoons and string of barrier islands, Faro makes for a fascinating Atlantic Ocean-side capital. But Baroque city gem, Tavira is only a short pedal away along the gentle ‘Ecovia do Litoral’, whilst beckoning by the Spanish border, lie the ancient castle treasures of Castro Marim and the saltpan landscapes and bird-filled wetlands around Vila Real de Santo António. 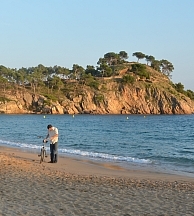 Golden beaches, bright bobbing boats; pink flamingos and Caspian terns; even over-wintering short-toed larks and black-shouldered kites – so many colourful and precious encounters are only a few miles of superb scenic cycling away. Go on, treat yourself to a breath of warm, fresh air - it’ll soon give you an appetite for all those amazing Algarve seafood specialities! Just a little shorter than our IPRC6 Piedmont Star tour, this single centre break based in the historic Canavese area close to Turin invites you to explore tasty Italy at its finest. 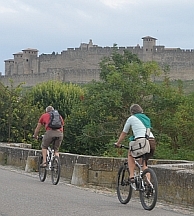 Sample the ‘Strada Reale dei Vini’ and renowned Piemontese cuisine; pedal off to beautiful shallow lakes and tour where castles tower over outstretched vineyards in the foothills of the Alps. 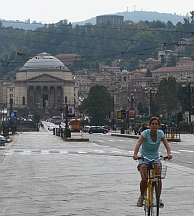 Turin is on the circular tour menu, if you fancy it – our route includes letting the train take the strain on the way there,so you can have a relaxed pedal back. With so much to choose from, it’ll be as natural as Piedmont’s stunning scenery to take time out for a ponder by the pool at your smart Patrican villa hotel. Please note that this is a special order tour and pricing is on request. In the delightful town of Romano Canavese. 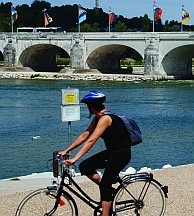 Just a little shorter than our ITPR6 Turin and the Piedmont Star tour, enjoy all the splendour of Turin with its royal residences and artistic treasures before pedalling up to the Canavese area which invites you to explore tasty Italy at its finest. 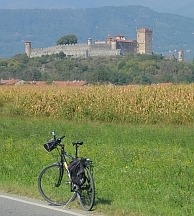 Sample the ‘Strada Reale dei Vini’ and renowned Piemontese cuisine; pedal off to beautiful shallow lakes and tour where castles tower over outstretched vineyards in the foothills of the Alps. With so much to choose from, it’ll be as natural as Piedmont’s stunning scenery to take time out for a ponder by the pool at your smart Patrican villa hotel. 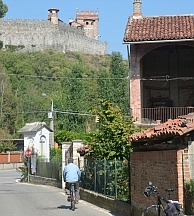 In the centre of Turin (1 night ) and in the delightful town of Romano Canavese (3 nights). For a glimmer of Puglia’s magic, it’s hard to beat this circular cycle tour which sweeps round the heel of Italy from Lecce, the ‘Florence of the South’, to touch first the crystal waters of the Adriatic near Otranto, then the beautiful blues of the Ionian Sea at Gallipoli. Experience the olive greens and flamingo pink of a region whose groves and lakes are rich in flora and fauna and whose vineyards produce more wine than any other area of Italy. 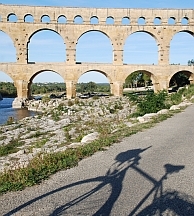 This may be the gentlest of our cycling adventures around Puglia, but it remains as full-bodied as the region’s renowned red wines, packing a real punch with its range of impressive castle towns, opulent Baroque treasures and its authentic Italian welcome. In Lecce (2 nights), Otranto and Gallipoli. Carved out of the impressive white cliffs of the ‘Torrent Gravina’ gorge, Matera piles history high, making for an awesome introduction to the mysteries of Puglia and a wonderful brief cycling encounter which includes not just one, but two designated UNESCO World Heritage Sites. Delve deep to discover more about the Sassi cave-dwellings and churches, then follow the timeless rocky landscapes across to Alberobello, a settlement of 1,500 unique ‘trulli’ houses in the verdant Valle d’Itria. Stay over in style in your own little lime-washed ‘trullo’ before steering your two wheels towards Ostuni, Puglia’s mighty, medieval ‘Città Bianca’. In Matera, Alberobello and Ostuni. Holland doesn’t come more bright and beautiful than this! 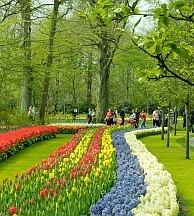 Tour the colourful floral carpets of the famous Keukenhof bulb fields at Lisse. Wonder at the world’s largest flower auction in Aaalsmeer. Push your pedals gently around Amsterdam, Haarlem and discover all things Dutch at the Zaanse Schans open air museum with its windmills, cheese farm and clog-makers. To top it all, the comfortable, yet classic premium Dutch barge, MS Magnifique I, is your floating home for this superb little springtime tour, so as you cruise along the lowland waterways in style you can enjoy all the local colour from a different angle too. Special offer pricing for every second person in the party. Please see detail pricing sheet. On board the premium barge MS Magnifique I in an outside-facing 2 bed cabin with private facilities and air-conditioning. Enjoy Holland at its most colourful in real classic style. 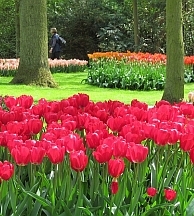 Climb aboard the comfortable premium Dutch barge, MS Magnifique II, in Amsterdam to cruise the lowland waterways and push your pedals oh-so-gently to the famously bright and beautiful bulb fields of Keukenhof. At Aaalsmeer, ‘FloraHolland’, the world’s largest flower auction, is a breath-taking sight to behold, but cycling in springtime around the nature reserves of the polders, alongside the canals of Amsterdam and streets of shopping heaven, Haarlem, is colourful stuff too. Sister vessel to MS Magnifique I & III, your special floating accommodation gives this tour a truly Dutch flavour. And don’t worry - with a visit the magnificent Zaanse Schans open air museum included, there are windmills, clogs and cheese a-plenty too! 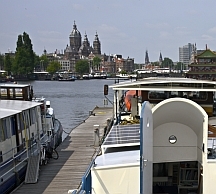 On board the Dutch barge MS Magnifique II in an outside-facing 2 bed cabin with private facilities and air-conditioning . Canals, cycling and tulips around Amsterdam? What a springtime treat. 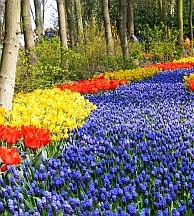 Climb aboard the riverboat MS Fluvius and enjoy a few truly Dutch days, cruising the lowland waterways near the cosmopolitan capital and pedalling out to explore the colourful carpets of tulips and sweet scented hyacinths at the Keukenhof and the world’s largest flower auction at Aalsmeer. What’s more, the impressive Zaanse Schans open air museum provides the windmills, cheese-making and clog-crafting along the way and there’s time to explore the cosmopolitan capital and shopping heaven, Haarlem, too. 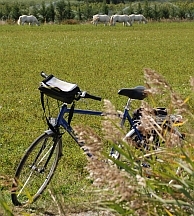 A jolly colourful springtime jaunt with optional cycling stretches, so it’s all just as relaxing as you want it to be. On board the riverboat MS Fluvius in an outside-facing 2 bed cabin with private facilities and air-conditioning . 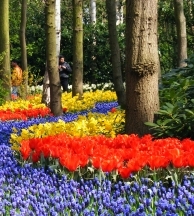 Tulips and Amsterdam – what an irresistibly classic and colourful combination! Make premium barge, MS Magnifique III, your relaxing home and set out to cruise the lowland canals and pedal green polder pathways en route to the bright and beautifully famous Keukenhof bulbfields and ‘FloraHolland’, the world’s largest flower auction at Aaalsmeer. Fear not - must-see windmills, artisan clog-makers and cheese-producers are all on the menu too at the magnificent Zaanse Schans open air museum. And you’re sure to find extra helpings of colourful artistic inspiration in the Van Gogh Museum or along the waterways and gabled-houses in cosmopolitan capital, Amsterdam. MS Magnifique III is the latest and largest addition to the superb Magnifique premium Dutch barge fleet, offering an even more impressive service and bikes. 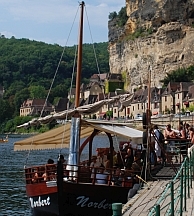 On board the barge MS Magnifique III in an outside-facing 2 bed cabin with private facilities and air-conditioning. 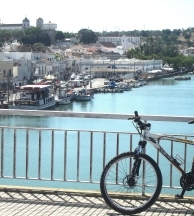 Based in historic Tavira, this bright little Algarve single centre break points you in all the right cycling directions, but ultimately leaves the amount of rest up to you. Choose your own pace, taking up the option of circular cycle rides from your stylish, Arabian-inspired hotel and its pools. Combine time on some of the Algarve’s best beaches, in fishing villages or exploring Tavira's elegant mansion-lined streets with scenic Algarve coast and countryside cycling. Hug the Atlantic towards ancient Spanish borderlands, through maritime pine forests and the saltpans around Castro Marim and Vila Real de Santo António. 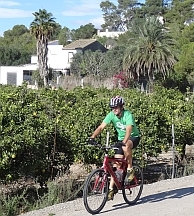 Pedal inland along orchard-filled ‘rios’, towards the Algarve hills, through groves of oaks cultivated for their precious bark, to the ‘Cork Capital’ of historic São Brás de Alportel. 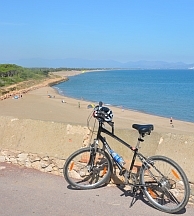 With great natural parks including the Rio Formosa all around, this is a great break for birdwatchers, beach-lovers and those who might just fancy some scenic time out on two wheels. 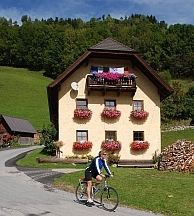 Do you love the idea of cycling Lake Constance and exploring the diverse three country culture, but fancy just that bit more flexibility? 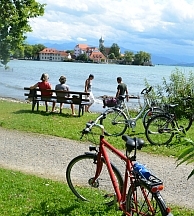 With a single centre stay in the vibrant city of Konstanz, you get to choose totally where your discovery days by bike take you. 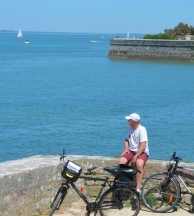 Our selection of circular cycle routes is enhanced by a range of ferry transfers, boat trips and attraction admissions included in the tour price, so you can simply hop on your bike and head off on great days out. There’s even a choice of accommodation too - just you can find the formula that’s best for you and really relax into your ‘Bodensee’ stay. In the lively university town of Konstanz. It’s hard to think of a more pleasant patch to discover than Piedmont. This is untainted Italy: outstretched vineyards, towering castles, natural lakes, alpine backdrops and simply great scenic cycling. 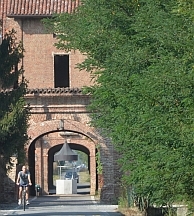 Let us invite you to stay in style in a very special Patrician Villa, to pedal the royal wine route perhaps and drink in the gentle history of the charming Canavese region close to Turin. Thanks to our range of circular itinerary options, every day is at your very own pace, so why not sneak some time by the beautiful hotel pool too? With all the artistic and historic treasures of Turin and amazing flavours of the Canavese, it’s hard to think of a more pleasant patch to discover than Piedmont. 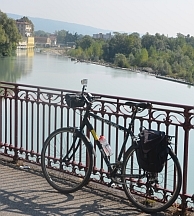 Turin is inspirational and its hinterland is simply Italy at its most untainted: outstretched vineyards, towering castles, natural lakes, alpine backdrops and simply great scenic cycling. 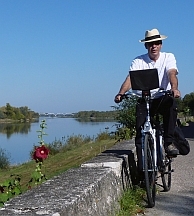 Let us invite you to stay in style both in Turin and in a very special Patrician Villain Romano Canavese, to pedal the royal wine route perhaps and drink in the gentle history of this charming region. Thanks to our range of circular itinerary options, every day is at your very own pace, so why not sneak some time by the beautiful hotel pool too? In the centre of Turin (1 night) and in the delightful town of Romano Canavese (4 nights). From Kaffee und Kuchen to Prosecco e Prosciutto – this tour offers a taste of two cultures linked by the most amazing scenery. 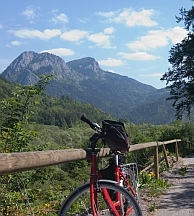 Much of the route has the dramatic Dolomites as backdrop and uses dedicated cycle paths along the River Adige from sophisticated Bolzano (or Bozen - the capital of German-speaking South Tyrol) towards romantic Verona, setting for Shakespeare’s Romeo and Juliet. Elsewhere vineyards, orchards, even a ferry trip the length of Lake Garda take centre stage. The cycling in this part of Italy is mostly flat, although there are some climbs, but we provide route tips on how to avoid the biggest ones! In Bolzano, Lake Caldaro/Ora, Trento, Sirmione/Desenzano and Verona (2 nights). With so many perfect panoramas, hilltop castles, royal palaces, delightful little lakes and vineyards and tempting Turin (and hotel pool) too, here’s a Piedmont Star that gives you just that little extra time to discover what makes this tasty corner of Italy really shine. Stay in style in a very special Patrician Villa, sample the renowned Piemontese cuisine perhaps and sip your way down the’ Strada Reale dei Vini’. 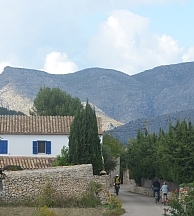 Our range of circular itinerary options, puts plenty of superb scenic cycling on the menu and every day is firmly at your very own pace. With so many perfect panoramas, hilltop castles, royal palaces, delightful little lakes and vineyards and tempting Turin (and hotel pool) too, here’s a fantastic opportunity to both tour and stay put, allowing you just that little extra time to discover what makes Turin and this tasty corner of Italy such a treasure. Stay in style in Turin centre then tour up to a very special Patrician Villa in Romano Canavese, sample the renowned Piemontese cuisine perhaps and sip your way down the’ Strada Reale dei Vini’. 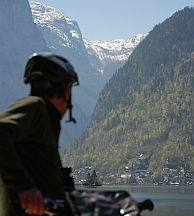 Our range of circular itinerary options, puts plenty of superb scenic cycling on the menu and every day is firmly at your very own pace. In the centre of Turin (1 night) and in the delightful town of Romano Canavese(5 nights). Start your pedalling holiday through Puglia in style, with a magical stay under the conical roof of one of the unique trulli houses in Alberobello, a UNESCO designated World Heritage Site. Cycle through rolling vineyards and olive groves in the lush Valle d’Itria, en route to discover the lavishly Baroque treasures of Ostuni, ‘Città Bianca’, then let the train take the strain to Lecce, the ‘Florence of the South’. Back on two wheels, fortified settlements line your route near the Adriatic coast where flamingos grace the calm waters of ‘I Laghi Alimini’ just north of the Aragonese castle at Otranto. Before returning to Lecce, a pedal across Italy’s heel leads to fashionable Gallipoli by the Ionian Sea, brimful of more Baroque treats, beautiful beaches, bars and seafood restaurants. 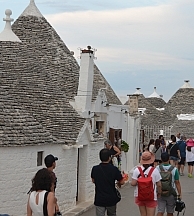 In Alberobello, Ostuni, Lecce (2 nights), Otranto and Gallipoli. 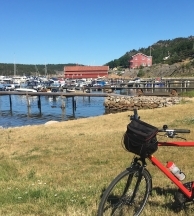 Norway’s Oslo Fjord is one capital area for a refreshing cycle tour. The cool water’s edge, the next viewpoint and quayside café-stop are never far away. Red and white clapboard cabin-houses keep a low profile round almost every corner, whether in town or country, by forest or foreshore. Pedal down the west ‘coast’ from Drammen via Viking burial sites in Borre National Park and rural ‘beach’ resorts once favoured by Norwegian artists like Edvard Munch. Touch by Norway’s oldest town, Tønsberg, to cross the waters at Sandefjord, using Sweden’s Strömstad as a stepping stone to Norway’s fortified Fredrikstad on the fjord’s eastern side. North towards the museum-rich capital, the Skagerrak Strait leads to rugged bathing spots, skerries, smugglers’ coves and the wooded hills of Drøbak, from where Oslo’s Akerhus castle, contemporary quayside quarter and impressive galleries are only a boat or bus ride away. God Tur! Venice is a true carnival of bustle and colour at any time of year. Gondalas and vaporetti, towering buildings and tiny alleyways, one amazing architectural eyeful. 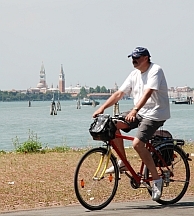 Take your fill on this tour and pedal on to explore the piazzas of Rovigo and Palladio’s Vicenza, plus surrounding soft Euganese hills and green riverside routes before savouring the local flavours of Bassano del Grappa and the pleasures of Prosecco country. More must-sees on the menu include Adriatic beaches, Asolo’s fine frescoes, charming clustered villages, castles and Kings - don’t miss the giant live chess games at Marostica’s Piazza Castello! 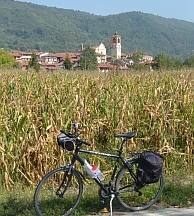 The cycling in this part of Italy is easy, mainly flat or gently undulating with a few steep, but short, climbs. In Mestre (2 nights), Sottomarina/Chioggia, Rovigo, Vicenza, Bassano del Grappa and Treviso. Pisa, Lucca, Firenze – the famous places on this tour just seem to flow like Chianti being freed from the bottle! Visit the lands of Leonardo; the inspiration of passionate Puccini and cheeky little Pinocchio too. Riverside routes and country lanes introduce undulating vineyards and stunning vistas, grandmasters and gallerias, transforming every unsuspecting piazza, ponte or palazzo into Tuscan treasures all of their own. 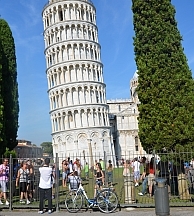 In Pisa (2 nights), Lucca (1 night), Montecatini Terme (2 nights) and Florence(2 nights). Three countries. Numerous islands. 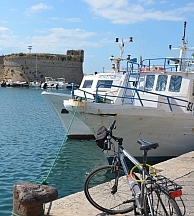 One enormous expanse of water and perhaps Europe’s most iconic cycle route. Lake Constance combines spectacular views of the Alps with cities brimful of culture, captivating castles and the most enchanting of painted towns. 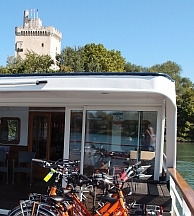 Boat trips are a must and who can resist a riverside pedal to feel the excitement and spray of the famous Rhine Falls? 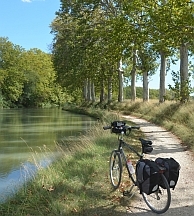 An unmissable, classic cycling adventure full of contrasts and with plenty of scope for reflection. 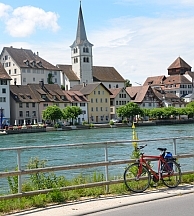 In Konstanz (3 nights), Überlingen, Nonnenhorn (Lindau), Höchst / Rorschach / Arbon and Schaffhausen. Inspiring alpine backdrops and the timeless beauty of the Bavarian lakes are your companions all the way along this city to city tour which leads through some of the most awesome scenery Germany can muster. Visit smart spa towns such as Bad Tölz and idyllic lakeside villages.There's plenty of warm Bavarian hospitality en route from marvellous Munich, the vibrant city of colourful clocks and exuburant Oktoberfest spirit to the refined cultural elegance of that musical masterpiece, Salzburg. In Munich, Bad Tölz, Schliersee,Bad Feilnbach, Chiemsee, Inzell and Salzburg. Tour from Belgium’s ‘Venice of the North’ to Holland’s cosmopolitan capital via both the ‘City of Diamonds’ and ‘Silver City’ and do it in real Dutch style. 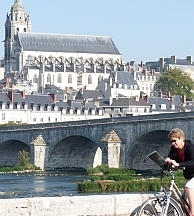 Climb aboard the comfortable, yet classic premium Dutch barge, MS Magnifique I, and enjoy a relaxed cruise along the lowland waterways interspersed with some gentle, scenic cycling. 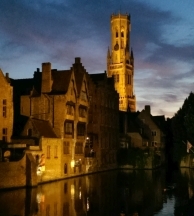 Travel from Bruges to Ghent; along the Schelde to the diamond trading city of Antwerp; then on past Kinderdijk’s historic windmills to the silversmiths’ city of Schoonhaven and the glittering lights of Amsterdam. This is a gem of a tour with real insight into the wealthy merchants and engineering minds which have made the cities and landscape what they are today. Meet Noord-Holland - a marriage of coast, countryside and all things irresistibly Dutch. Setting out from Amsterdam, explore a world of windmills and waterways; historic harbourlands and time-honoured trades; gabled farmhouses and green polder landscapes; round golden cheeses and undulating dunescapes. And what better way to get up close and personal with these unique waterlands than touring by bike from your ‘itinerant’ accommodation on board a comfortable, classic Dutch barge. Visit the Zaan area, Alkmaar and Den Helder en route to the oh-so-beautiful-on-a-bike island of Texel, returning via the Ijselmeer ‘great’ harbours which found fame and fortune in the 17th century. On board the classic Dutch barge, De Holland, in an outside-facing 2 bed cabin with private facilities and air-conditioning on the lower deck. 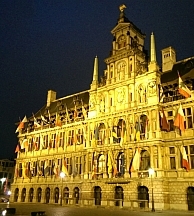 Experience one treasure of a trip – Bruges, the ’Pearl of Flanders’; the diamond city of Antwerp and the riches of ‘Silver City’ at Schoonhaven; marketplace memories of the Golden Age of Flanders in Ghent; emerald green polderlands, Kinderdijk’s nineteen-strong row of historic windmills and finally the countless canals of Amsterdam. It’s all vintage stuff, so why not clock up the culture in real local style, staying on board the comfortable yet classic premium Dutch barge, MS Magnifique II. Sister vessel to the MS Magnifique I & III, it’s an ideal floating home from which to enjoy a relaxed cruise along the lowland waterways interspersed with that most favourite of Dutch pastimes – some gentle, scenic cycling. On board the premium Dutch barge MS Magnifique II in an outside-facing 2 bed cabin with private facilities and air-conditioning. Tour along from the canals of Amsterdam, past Kinderdijk’s row of historic windmills to those priceless city gems of Flanders - Antwerp, Ghent and Bruges. Such a classic trip deserves a certain spot of local style, so climb aboard the comfortable yet classic premium Dutch barge, MS Magnifique I, and enjoy a relaxed cruise along the lowland waterways interspersed with that most favourite of Dutch pastimes – some gentle, scenic cycling. From the ‘Silver City’ of Schoonhaven to gilded façades and the greenest polders, this is a voyage of discovery, paying homage to the enterprising merchants of the Golden Age and the engineering minds which have made the landscape what it is today. 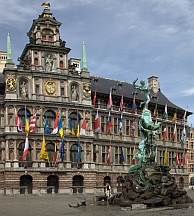 Prepare yourself for one treasure of a trip - the diamond city of Antwerp and emerald green polderlands; the canals of Amsterdam and Kinderdijk’s nineteen-strong row of historic windmills; marketplace memories of the Golden Age of Flanders; Ghent,Bruges and the riches of ‘Silver City’ at Schoonhaven. It’s vintage stuff, deserving some real local style, so what could be a more welcome ‘touring’ place to stay than the comfortable yet classic premium Dutch barge, MS Magnifique II. Sister vessel to the MS Magnifique I & III, it’s an ideal floating home from which to enjoy a relaxed cruise along the lowland waterways interspersed with that most favourite of Dutch pastimes – some gentle, scenic cycling. From Amsterdam to the diamond capital of Antwerp, from the ‘Silver City’ of Schoonhaven to gilded façades and the greenest Ablasserwaard polders by the windmills of the Kinderdijk, enjoy a real voyage of discovery. 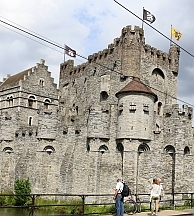 This classic tour through Holland and Flanders pays homage to the enterprising merchants of the Golden Age and the engineering minds which have made the landscape what it is today. 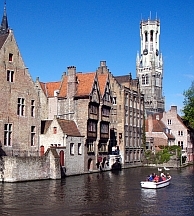 Make the comfortable riverboat MS Fluvius your floating home and cruise the lowland waterways down to beautiful medieval Bruges, enjoying scenic cycling stretches between selected points along the way. If you’ve ever fancied really going Dutch, then this classic combo has to the break for you. Bike along Amsterdam’s classic canals. 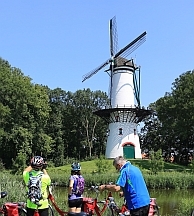 Pedal past Kinderdijk’s row of 19 historic windmills. 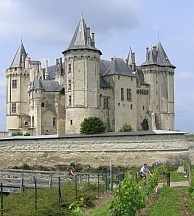 Treasure the ‘Silver City’of Schoonhaven, the ‘Diamond Capital’, Antwerp and emerald green Ablasserwaard polders, all en route to those Flanders jewels of the Golden Age – Ghent and Bruges. With the comfortable Dutch barge, MS Gandalf, as your floating home, this is simply one local gem of a Holland and Flanders tour - a must-do mix of superb scenic cycling and gloriously gentle times cruising down the lowland waterways and a wonderfully Dutch way to make a wide range of discoveries from the masterpieces of medieval merchants to the legacies of enterprising engineering minds. On board the barge, MS Gandalf, in an outside-facing 2 bed cabin with private facilities and a porthole which can be opened . Sail away in style on board the classic ‘tall ship’ schooner, Wapen fan Fryslân, and hop around the Frisian Islands, exploring each wild world via neat networks of cycle tracks. It’s a voyage of discovery with a difference – a chance to ride the Dutch seas and ride a bike through some of Europe’s most unique natural landscapes. Watch the seals around Texel; see Holland’s oldest lighthouse on Terschelling and look out across the North Sea’s island string from Vlieland’s highest sand dune. The historic harbours of Enkhuizen and Den Oever are on the menu, so too the impressive IJsselmeer dam, plus polders, forests, dunes and mudflats. 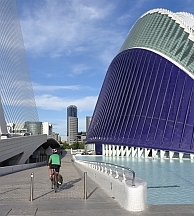 Suitable for seasoned seafarers, cyclists and all round novices alike, this is not just a tour, but one exhilarating experience. 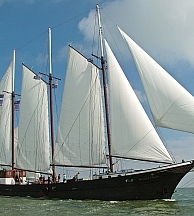 On board the 2 mast sailing schooner, Wapen fan Fryslân, in a 2 bed cabin with private facilities and a porthole which can be opened. Here’s a gentle adventure with a difference. Ride the Dutch seas in style on board a luxurious, classic sailing schooner and explore the wonderfully wild Frisian Islands on the edge of the North Sea by bike. Set sail on the ‘Mare fan Fryslân’ from historic Enkhuizen or pedal along Noord Holland’s Zuidersee coast to the great Den Oever dam causeway, then hop from island to island, exploring each one on nifty networks of cycle tracks. Visit Texel’s seal sanctuary, Holland’s oldest lighthouse on Terschelling and get amazing Frisian Island vistas from the high dunes of Vlieland. Historic harbours, polderlands, forests, dunes and mudflats, plus miles and miles of open water are all on the menu. 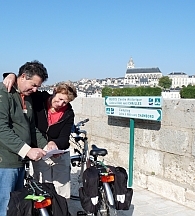 A fab tour to try out your sea-legs, cycling-legs and new binoculars! 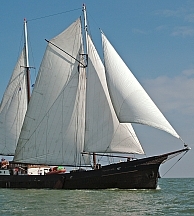 On board the 3 mast sailing schooner, Mare fan Fryslân, in a 2 bed cabin with private facilities and ventilation system . Set out from Belgium’s ‘Venice of the North’ to Holland’s cosmopolitan capital via both Antwerp, the ‘City of Diamonds’ and ‘Silver City’ Schoonhaven. 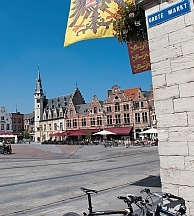 This classic tour through Flanders and Holland is packed full of gilded wonders, green polderlands and windmills and pays homage to the enterprising merchants of the Golden Age and the engineering minds which have made the landscape what it is today. Make the comfortable riverboat MS Fluvius your floating home and cruise the lowland waterways from Bruges, the ‘Pearl of Flanders’, up to Amsterdam, enjoying scenic cycling stretches between selected points along the way. Ever fancied really going Dutch? This classic combo has to be the break for you. 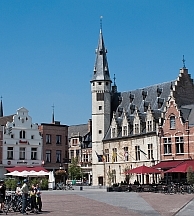 Gilded wonders, emerald polders, cities sparkling with diamonds and silver - this is one jolly jewel of a tour. From Belgium’s ‘Venice of the North’ to Holland’s cosmopolitan capital make the comfortable Dutch barge, MS Gandalf, your floating home and enjoy a gentle journey with plenty of golden cycling opportunities en route. Push your pedals around Ghent and along the Schelde to priceless Antwerp; then on past Kinderdijk’s nineteen historic windmills to the silversmiths’ city of Schoonhaven and the glittering lights of Amsterdam. With just as much superb scenic cycling as you please, plus plenty of time to watch the world go by from the waterways of Flanders and Holland, it’s a great little voyage of Dutch discovery. With its unique labyrinth of canals, ‘calles’ and ‘campiellos’, vibrant Venice is one truly a-mazing city. But hop across its stylish beach islands, head inland along the Veneto waterways from the flamingo lagoons and fertile plains of the great Po Delta and you’ll be rewarded with rich and relatively undiscovered Renaissance cities with palazzi and piazzas by the score. Make the comfortable, all-Italian barge, ‘Ave Maria’, your floating home on a really relaxing trip from Venice to magnificent Mantua, cycling out on self-guided (guided also an option), gentle, scenic, circular or linear routes to discover everything from the cheesy secrets of Grana Padano and colourful fairground carousels to ancient Adria and the wonders of UNESCO World Heritage city site, Ferrara. On board the barge, Ave Maria, in an outside-facing 2 bed cabin with private facilities and air-conditioning. Here’s a bike and boat tour with real Po-tential. Delight in the magnificent island city of Mantua on the Mincio, then explore the wide valley of the great River Po on its final journey to the Adriatic Sea, before one last spot of island hopping up the coast to the flamboyant watery world of Venezia. Also designated UNESCO World Heritage Sites, the fine Italian Renaissance cities of Mantua and Ferrara are real undiscovered gems and together with the lush green landscapes and flamingo lagoons of the fertile Po Delta create the perfect prelude to that colourful carnival city of grand canals and gondolas, Venice. 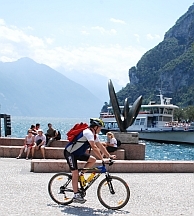 Make the comfortable, all-Italian barge, ‘Ave Maria’, your floating home and pedal out on all sorts of gentle, scenic, circular or linear routes under the Italian sun. 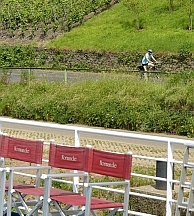 The cycling is self-guided, but following a tour leader is also an option if you prefer. Either way, everything is yours to discover at your own pace, from cheesy secrets of Grana Padano, colourful fairground carousels and celebrity-favoured beach resorts to herons in their hundreds and Adria’s ancient roots as a sea port. Venice, Ferrara and Mantua – three architecturally awesome cities; each one designated a UNESCO World Heritage Site; one do-before-you-die classic and two truly unsung jewels of the Italian Renaissance. 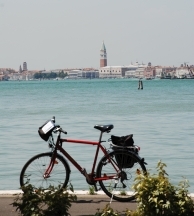 Explore them all at your own pace on a really relaxed bike and barge adventure along the Venetian lagoons and waterways around the Rivers Po and Mincio. 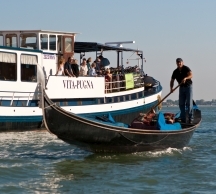 Make the comfortable, small barge, Pugna Vita, your floating home and pedal out on all sorts of gentle, scenic, circular or linear routes under the Italian sun. 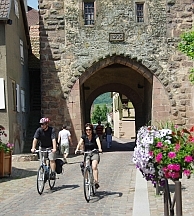 The cycling is self-guided, but following a tour leader is also an option. Either way, everything is yours to discover from the cheesy secrets of Grana Padano, colourful fairground carousels and celebrity-favoured beach resorts to colonies of flamingos, herons in their hundreds, Adria’s ancient harbourland roots and the wonders of UNESCO World Heritage city site, Ferrara. On board the small barge, Vita Pugna, in an outside-facing 2 bed cabin with private facilities. 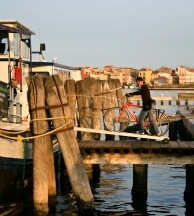 Join Italy’s longest river on its final journey to meet the Adriatic Sea – it’s a bike and boat tour with real Po-tential! 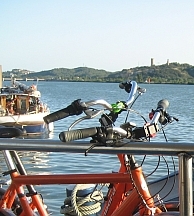 Start with the island city of Mantua, just north of the great River Po in the middle of the River Mincio and cruise and cycle along the waterways to that most famous island city of all time, Venice. A visit to Mantua and Ferrara - both undiscovered city gems of the Italian Renaissance and designated UNESCO World Heritage Sites – together with the lush green landscapes and flamingo lagoons of the fertile Po Delta create the perfect prelude to that colourful carnival city of grand canals and gondolas. Make the comfortable, small barge, ‘Vita Pugna’, your floating home and pedal out on all sorts of gentle, scenic, circular or linear routes under the Italian sun. 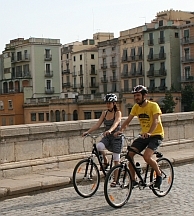 The cycling is self-guided, but following a tour leader is also an option if you prefer. Either way, everything is yours to discover at your own pace, from cheesy secrets of Grana Padano, colourful fairground carousels and celebrity-favoured beach resorts to herons in their hundreds and Adria’s ancient roots as a sea port. Now this tour’s a real treasure. Cosmopolitan Amsterdam; ‘Silver City’ Schoonhaven; ‘Golden Age’ Dendermonde; ‘Diamond Capital’ Antwerp; glorious Ghent and Bruges, the ‘Venice of the North’ – explore this whole string of lowland gems, linked together by a relaxing waterways cruise on board the brand new MS Magnifique III and - of course - some gentle, scenic cycling. MS Magnifique III is the latest and largest addition to the superb Magnifique premium Dutch barge fleet, offering an even more impressive service and bikes. 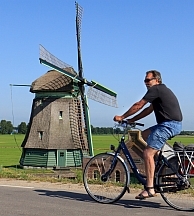 Pedal across emerald green polders; view historic windmills by the score at the famous Kinderdijk. Discover the worlds of the enterprising merchants of the Golden Age and the engineering minds which have made the landscape what it is today. A voyage of discovery? Absolutely. On board the premium barge MS Magnifique III in an outside-facing 2 bed cabin with private facilities and air-conditioning. Add a certain sparkle to your time on two wheels. Simply sit back and relax along glistening waterways on board the brand new premium Dutch barge, MS Magnifique III, and pedal out to explore a great array of local gems. 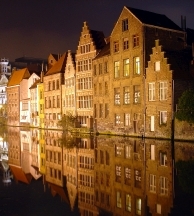 From Bruges, the ’Pearl of Flanders’ to the gilded riches of the Golden Age in Ghent and Dendemonde; from Antwerp, ‘City of Diamonds’ and ‘Silver City’ Schoonhaven to the countless canals of historic Amsterdam, there are just so many treasures to discover. Pedal out across emerald polders; at Kinderdijk see windmill jewels by the score. Even your barge is a real beauty - the latest and largest addition to the superb Magnifique premium Dutch barge fleet, offering an even more impressive service and bikes. Enjoy! Discover a world of pirate coves and peregrines, pink flamingos and mighty fortresses on a pedal east from the land of Europe’s most prized sunset, via jewels in the Algarve crown, Tavira and Cacela Velha, to the ancient castle country of Castro Marim near the Spanish border. 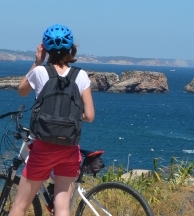 Set out on the Algarve’s ‘Ecovia do Litoral’ coast path for a cycling adventure by golden sandy stretches and crystal lagoon waters, laden with Baroque city gems and daring castle defences, chic marinas and colourful fishing harbours. Seven precious, bird-filled natural parks line up for exploration along the gentle route, including the rocky Sagres peninsular, Vilamoura’s reedbeds, the famous Ria Formosa estuary and the saltmarshes of Vila Real de Santo António, so be sure to pop the binoculars in the panniers. Who knows, you may even spot a whale or dolphin off the tourist resort of Albufeira on this treasure-rich coast. 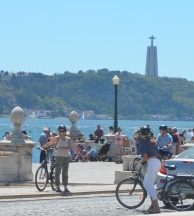 Take your fill of vibrant city culture in Lisbon, then point your two wheels south and head for Alentejo’s Arrábida hills and some of the most scenic cycling Portugal has to offer. Cycle Breaks tours are designed for you to make en-route discoveries totally at your own pace and near the start of this tour, even before reaching the cliffs and coves of the Vicentina Coast and Sagres peninsular, the stunningly beautiful Arrábida Natural Park presents breath-taking panoramas and wildlife-spotting opportunities amidst untamed landscapes. If you’re a cyclist with a good level of fitness or more experience, you’ll be sure to rise to the challenge and enjoy exploring the verdant and rocky terrain here at a certain pace. 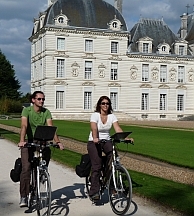 Others may prefer pedalling fewer miles each day or having just longer to take in the natural sights – for them our PLS10 tour extends the same route by a couple of overnights. Belém’s Jérónimus Monastery (and its custard tarts), Alentejo vineyards (and their wines), Setúbal’s fishmarket and the coast’s seafood treats are amongst the tour highlights…not forgetting the dolphins, lizards, white storks, sea eagles, marine otters and Cabo São Vicente’s grand finale – the blazing sunset at World’s End. In Lisbon, Costa da Caprica, Setúbal, Sines, Vila Nova de Mil Fontes, Aljezur and Sagres. 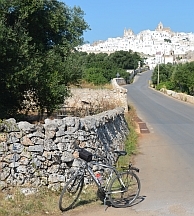 Puglia’s just magic for a cycling holiday. There are the spell-binding ‘Sassi’ cave-dwellings in the rocky north; the mysterious ‘trulli’ houses of Valle d’Itria; mighty castle towns watching over rolling vineyards and olive groves or clinging to the coast, not to mention scores of beautiful Baroque treasures all basking close to the crystal waters of the Adriatic and Ionian seas in the warmth of the Mediterranean sun. 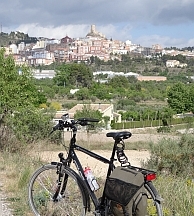 Enjoy some really great time on two wheels exploring the coast and countryside of the heel of Italy from Matera and Alberobello to Gallipoli and Lecce, the Florence of the South. 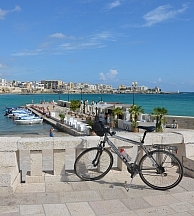 In Matera, Alberobello, Ostuni, Lecce (2 nights), Otranto and Gallipoli. From Lisbon, one of the oldest cities in Europe, to World’s End - the very tip of Portugal - enjoy an Atlantic Coast cycle tour that’s simply packed with superlative experiences. For scenic cycling and spectacular wildlife-watching, Portugal’s south-west coast is up there amongst the finest thanks to Alentejo’s outstanding Arrábida natural park and first class vineyards; the rocky Vicentina Coast natural park, and Sagres peninsular - home to sunset heaven, Cabo São Vicente. Take in the flavours of Lisbon’s Golden Age. Sample tasty ‘Pasteis de Belém’, by the mighty Jérónimus Monastery. Pedal riverside, coastal and hinterland paths through rocky landscapes with rich rewards around almost every turn. Buff up your binoculars and prepare to spot rare nesting white storks, sea eagles and marine otters; bottlenose dolphins and lizards as well as everything including Moorish castles and megaliths. 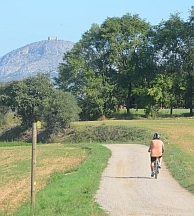 From stylish Costa Caprica to the wild cork oak country around historic Setúbal and beyond to Aljezur and the Algarve’s tip, the terrain makes this one of our more challenging cycle tours, but we’ve designed things so that it’s the wildlife and panoramas rather than the pedalling which take your breath away. It’s so worth it – enjoy! In Lisbon, Costa da Caprica, Sesimbra, Setúbal, Santo André, Sines, Vila Nova de Mil Fontes, Aljezur and Sagres. 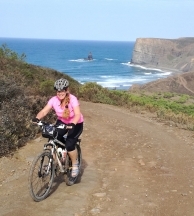 Cycle the Atlantic Ocean’s Portuguese coast of contrasts. Enjoy the bright lights and heady heights of Lisbon, then set off south on a warm coastal adventure down ‘Al Gharb’, the western side of the Iberian peninsular. 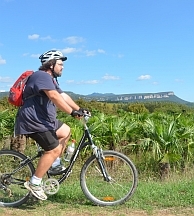 Cycle along quiet roads and promenades towards the Costa da Caparica. Follow more rural tracks into the rocky Arrábida hills for magnificent views of rugged cliffscapes. Explore historic settlements such as Sesimbra or Setúbal and keep an eye out for dolphins along the Costa Vicentina. The sky almost catches fire in the most dramatic of sunsets over the western world’s very tip at Cabo São Vicente, then pedal east, with the Atlantic breeze behind you, round pirate coves and fertile river deltas, beneath fine fortresses and alongside sandy beaches and dunes, marshes and maritime forests, bustling marinas and traditional fishing villages. Countless ancient peoples settled these fertile lands and left their mark by the great Guadiana estuary which separates Portugal and Spain. Today some visitors flock to wade the lagoons and wetland reserves, others to take a break on the shoreline, but coasting along by bike and stopping off where you will – well, that has to be the best of both worlds. Is in Lisbon, Costa da Caprica, Sesimbra, Setúbal, Sant André, Sines, Vila Nova de Mil Fontes, Aljezur, Sagres, Lagos, Portimão., Albufeira, Faro and Tavira (2 nights). Selected properties include twelve 4 star and two 3 star hotels. We are pleased to discuss details on request.